LiDAR is an impressive and interesting sensor technology which already powers parts of the driverless car industry. LiDAR sensors can somewhat be thought of as a clever mixture of photogrammetry and radar. It is extremely precise and can provide incredibly accurate datasets. 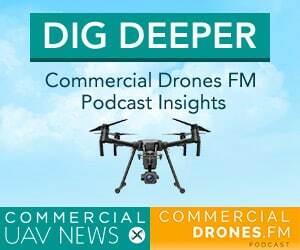 Harris Wang, Strategic Markets Director at Velodyne LiDAR Inc., joins Ian to explore how LiDAR is being used on drones. Industries like utilities, surveying, forestry, and inspection can reap insane benefits by using LiDAR—but it has historically been quite heavy and very expensive. Harris explains how the technology is becoming cheaper and smaller, how LiDAR compares to photogrammetry, and how it is being used today and in the future. Visit Velodyne at their website at http://velodynelidar.com. Follow Velodyne on Twitter at @VelodyneLiDAR. You can email Harris as well but he insisted that you’ll have to listen to the episode in order to get his address. 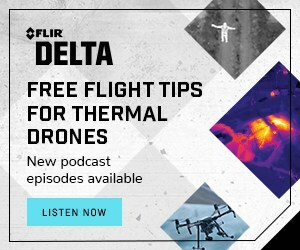 [00:00:03] [Introduction] Welcome to Commercial Drones.FM, the podcast that explores the commercial drone industry the people who power it and the concepts that drive it. I’m your host Ian Smith. 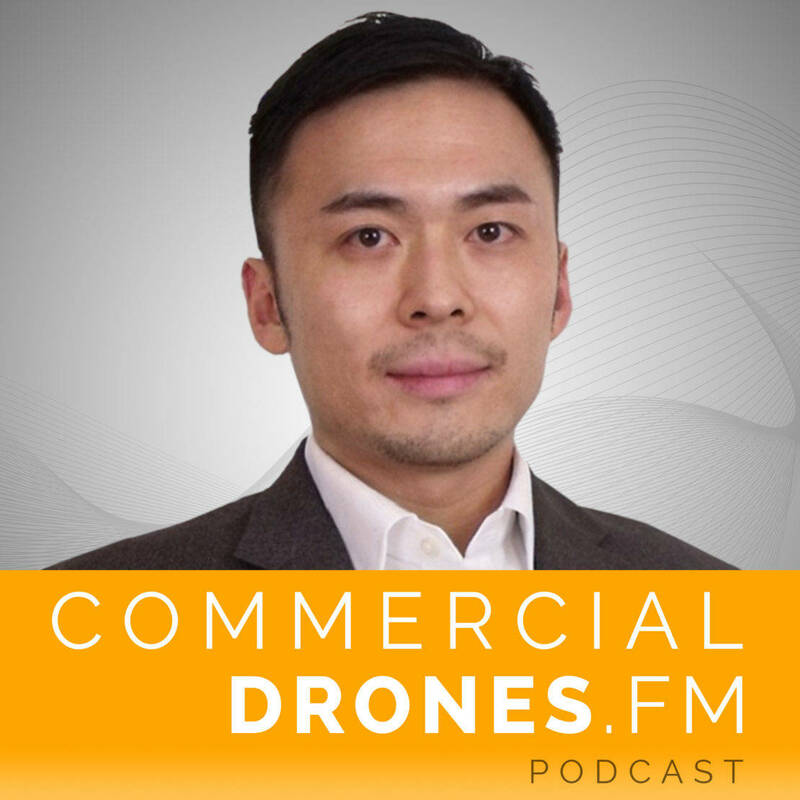 [00:00:20] IAN SMITH: Hey everybody and welcome to commercial drones Fm, I’m sitting here in San Francisco with Harris Wang who is the Strategic Marketing director at Velodyne LiDAR Inc. And welcome to the show Harris. Thank you so much for joining us. [00:00:35] HARRIS WANG: Good morning Ian, thank you for having me. [00:00:36] IAN: My pleasure. And maybe you can start off telling us first of all the company about the company about validation. What is Velodyne? [00:00:44] HARRIS: Sure. I think many of you are aware of the name by now that’s the name is getting across especially for the autonomous car development. We provide a key LiDAR sensor component that assists in the development and research of autonomous vehicles. And recently we recieved minority investment from Ford and Baidu. So now we’re getting a lot of visibility. And I think lately we’re seeing a growing interest to use our LiDAR technology for drones as well. [00:01:18] IAN: So autonomous vehicles not just drones. So the autonomous cars and things like that? [00:01:26] IAN: OK, how did you get into a LiDAR company? I mean like what brought you here to Velodyne? [00:01:34] HARRIS: Sure. So personally background is – worked at two multinational companies. Fortunately during the industrial space. I think now if you look at the next 10 years, the biggest revolution will be in mobility, both in the air and on the ground. So I’m very fortunate to be able to join this revolution back to the Bay Area and look forward to what’s going to happen in the next five to 10 years. [00:02:02] IAN: Nice. So. OK. Now we know about a little bit more about the company and how you got there. What is LiDAR? First of all maybe what does it stand for? and what is it? [00:02:16] HARRIS: Sure. In short LiDAR stands for Light Detection and Ranging. Now I think most people think of LiDAR similar to lasers. How we’re shooting lasers and measuring the reflection of the laser see how much time it takes for the photons to come back to the sensor. They call it time of flight. So by measuring the time it takes for the light to come back, we can figure out the distance and also the reflectivity of the surface. [00:02:48] This way you cannot only. Not only can you measured the distance, get a feel for the environment but also you can see the retro reflectors – lane markings, signs etc..
[00:03:04] IAN: Interesting, so what does that mean exactly? So the workflow is you have a lot like how big is a LiDAR like unit? [00:03:13] HARRIS: Yeah. I think if you again search Velodyne, you will see our first model which is fairly large on a lot of the research of R&D autonomous vehicles. Now the same technology is getting smaller and smaller. Now its light enough to be used on drones. Our plans are to continue make it even smaller in the multiples of centimeters and even compact and cheaper as well in the next 1-2 years. [00:03:48] IAN: I think people kind of refer to it as like the puck LiDAR, like it almost looks like a hockey puck. In similar size but a little bit taller than a hockey puck. Is that right? [00:03:56] HARRIS: Yes I will say that’s our most popular model at the moment and its about 50 X 70 millimeters, cylindrical shape and the US puck LiDAR less than 600 grams. [00:04:11] IAN: How many is that? what does that like, you know ounces conversion? I have no idea how to convert that to ounces. [00:04:18] HARRIS: Yeah but its light enough to use on the M100. [00:04:22] IAN: OK so DJI’s M100. So the M600 for sure. That could carry it super easily. Wow thats really cool. And so whats the difference then? Okay LiDAR essentially. – Is it kind of like echo location or radar kind of but just with lasers? [00:04:41] HARRIS: Yeah I think another way to look at it is if you compare radar LiDAR and vision or camera. Radar is like if you’re wearing glasses you take it off. You have this blurry version of the world you see there something in front of you. But you can’t make it out. What is it. Because you’re not getting enough resolution right where a camera you get perfect resolution, you see everything. But the depth might not be as great. And also in imperfect light conditions, you might not be able see the object clearly. I think LiDAR in a way can be used in all light conditions. [00:05:25] IAN: So even in pitch black? [00:05:28] IAN: Yeah. Okay. And then what about fog is this fog or rain effect or how does that work? [00:05:35] HARRIS: Yeah I think in those weather conditions effects all sensing technology but because LiDAR, the one we have has multiple lasers and you have much more data per second. Which means the probability of all the lasers being blinded by rain draw by fog will be lower. So of course you will lose some of the distance and clarity but there’s also a high probability you will see through the rain because light is moving so fast. It’s like the rain has stopped like The Matrix like the movie right, when you think about it. [00:06:21] IAN: That’s awesome and so inside the puck what’s happening like there’s like, there’s like a mechanical or maybe you can describe it like there’s something spinning around and how does that how is that working? like what’s happening inside the little tiny light our unit? [00:06:36] HARRIS: Sure. So we call our technology a Hybrid solid state. So we have circuitry mounted inside the park and it has the lasers and receivers so we can shoot the light and detect the light coming back at the same time. It’s really rotating up anywhere from five to 10 times per second. So you get a nice 360 degree field of view for the environment. [00:07:01] IAN: Every second. Wow. OK. And so that’s just like spinning around in a circle really really fast and it’s just shooting those lasers all around. [00:07:08] HARRIS: Right. On average you could get 300,000 points per second. So a lot of information about the environment. [00:07:16] IAN: Yeah I’ve seen it. So if you’re listening and you haven’t really seen LiDAR in action there’s some really cool. I guess whenever you guys do an exhibit somewhere at conferences or whatever and you do a demo. You just basically have a LiDAR unit set up kind of like on a tripod or something, and you can just walk around in front of it and see on a screen in real time like your self kind of walking around and you’re just like a bunch of like very accurate dots. [00:07:42] So speaking of those dots all those points what you call them. How accurate is that is LiDAR like extremely accurate? [00:07:50] HARRIS: Yeah. So the accuracy is depending on which model is 2 to 3 centimeters regardless thE distance. So we work up to 100 meters. And later we’ll have a model up to 200 meters. So anywhere between that range you will have 2 to 3 centimeter accuracy on the results. [00:08:09] IAN: So that means that if I’m standing 75 meters away from the LiDAR puck itself based on the output data you could actually pinpoint where I am within plus or minus 2 to 3 centimeters. [00:08:24] HARRIS: For the LiDAR output, yes. [00:08:25] IAN: Yeah. OK. That’s really cool. And so you know we see with the drone industry most people are using. Most businesses are using photogrammetry and just regular you know video and still imagery. How do you compare and contrast the use of LiDAR between photogrammetry? [00:08:47] Because with photogrammetry you can also get a point cloud. Are we talking you know the same type of point cloud here or you know what’s really the difference here? How are you going to how are you going to differentiate LiDAR versus photogram? [00:09:00] HARRIS: Sure. I think the at the end of the day the customer wants us to see a 3D model of the environment of their point of interest and they want to perform measurements for inspection and whatnot. But how to get there depends on the technology we use. So we have photogrammetry today, we have LiDAR and as we learn more about the growing usage of LiDAR in the different markets. We hear customers really telling us when to use what technology. And I think based on our current understanding, light is one of the limitations in photogrammetry. Are you limited to perhaps some plus/minus 1 to 2 hours around noon to get that perfect shot. So you have minimum shadow, where LiDAR can work in both dawn and dusk and potentially at night if regulation allows. [00:09:54] But on the other hand LiDAR is relatively more expensive at the moment but with as much technology adoption increases will also hope to help reduce the cost of LiDAR in the near term as well. But on the other hand photogrammetry from a data standpoint is a lot to process. We heard the word process intensive all the time. Where are you getting a direct 3D model already. So in a way it saves all the processing time as well. And also in cases where the texture has sharp edges, photogrammetry tends to lose some of the resolution, where LiDAR still can give you that physical measurement regardless of the shape you’re measuring. [00:10:48] IAN: So the final result. Do you call it like a point cloud usually? from LiDAR data? What do you refer to as the result of LiDAR? What’s the data type? [00:10:59] HARRIS: Yeah so the output of LiDAR is a point cloud Bodos essentially is a collection of relative distances from LiDAR to the world. Many people need to convert that into absolute distances so that they go through this process called Geo referencing by combining the GPS and the IMU data. [00:11:23] IAN: Does the Lidar have a GPS in it usually? or is that kind of separate? [00:11:29] HARRIS: It’s a separate component so in the drone world. Many of our customers/integrators will buy the LiDAR, GPS and the IMU which tend to be way more expensive than the drone and the LiDAR combined to generate a system used for surveying and mapping. And they could achieve depending on the GPS, they’re using the IMU they’re using they could achieve anywhere from 5 cm to 20,30 cm of absolute position accuracy. [00:12:03] IAN: OK I see. So this is kind of an example that comes up sometimes. So if you’re just using a drone with photogrammetry and let’s just say you’re trying to create a point cloud or like a 3D model of a stockpile on a mine site or something like that. We usually you know would advise OK if the objective you know it’s all about what do you want to do with this data. [00:12:25] As you said. So if the objective is just to create a accurate you know volumetric calculation of the volume of that stockpile then the you know absolute accuracy you know where this stockpiles located on the planet typically doesn’t matter as much as actually you know the relative you know. How big is the stockpile like are we accurately recreating this with photogrammetry. [00:12:49] So with LiDAR you’re saying it’s much easier. Probably a lot more accurate and quicker to get that final point cloud then versus you know traditional photogram entry and stuff like that. [00:13:00] HARRIS: Yeah. So based on what our customers are telling us they’ve done comparisons for example. First scenario is a traditional method using technicians holding a GNSS antenna walking around the stockpile to getting points – we call them generated volume measurements. Second method is photogrammetry. Third method is LiDAR using drawings. [00:13:30] They’ve done comparisons and from an error standpoint, you will have way more points using LiDAR versus the manual method and in cases like imperfect lighting you will have better more accurate volume measurements as well. So the message I think we’d like to send is it really depends on what the application we advise our customers to choose the right technology for the right problem. 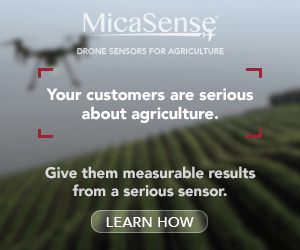 [00:14:02] IAN: What are business using LiDAR on drones? like what kind of use cases have you come across? Where people are like oh we have to have LiDAR for this, or that was extremely extremely useful to have the LiDAR as opposed to something else. What are you guys hearing from customers? [00:14:21] HARRIES: Sure. So looking at the market we start to see applications in many industries from argued culture, forestry, utilities, wind, turbine inspection etc. But I think in summary we see three application use cases. [00:14:39] Number one surveying and mapping. We’re calling this passive mode where they are simply correct collecting data using LiDAR as a payload. Together with IMU or GPS. The second use case is active mode where they’re processing the point cloud now in real time, which is difficult to do with photogrammetry due to the complexity and the size of the data. [00:15:02] So this use case is primarily for law but inspections in the market such as wind turbine inspection. We have a customer that did that in real time in Germany a few months ago and we see more of this see major growth area in the next two years. And then third is autonomous flight which can be used for delivery. [00:15:28] IAN: Yeah. So just like you’re putting it on an autonomous car antonymous like a land vehicle. Same thing with with an aerial vehicle and with 200 meters of range that becomes quite nice. I mean you can detect something then that’s up to 2cm in width I guess. [00:15:47] Well you did mention forestry and that’s one of the things so you know photogrammetry is not like obviously not the be all end all like only solution like you have to use what works for the objective you want to accomplish. So one thing with photogrammetry, is it’s very hard to penetrate tree canopy. And so with LiDAR that the way that I understand it and correct me if I’m wrong then you’re shooting all those laser beams basically out and any area there is to penetrate through the leaves in a tree you’re kind of getting all the way down to the to the floor of the I guess forest or something like that with LiDAR and so you’re able to create like a much more accurate 3-D representation is that correct? [00:16:29] HARRIS: That’s exactly right. And the same because we have multiple returns not only getting the top of the tree but also the second returns coming from the ground so you get a nice height difference. You can calcute the the volumes and same can be said for inspection of rebars. We’re multi layered stacks of material where photogrammetry e can only see the top but LiDAR can get through that. Layers and layers of material to give you a nice texture. [00:17:01] IAN: That’s amazing. Why aren’t more businesses using LiDAR on drones right now? I mean it’s a great tool. What are some of the reasons that you think that it’s not as popular as photogrammetry right now? [00:17:15] HARRIS: Yeah, I probably need to work harder. [00:17:19] IAN: You’re making more sales Harris. [00:17:19] HARRIS: In short we actually saw 400% growth in the drone applications for LiDAR. [00:17:32] HARRIS: Comparing this year vs last year. So the market is picking up quickly now because this ecosystem is still maturing. We have many companies entering the space, I think drilling technology is being accepted. Photogrammetry is being evaluated by many of the large enterprise end users. I think the next big sensor – – will be LiDAR and we’re working with many players in the market to get there. [00:18:02] IAN: I completely agree with you. Some of the reasons why I you know I would speculate why it’s not as popular is, well most drones right now come with a camera on and they don’t come with a light unit. But I think the reason why they don’t is cost. Traditionally it’s been a higher cost than a than a small camera. Size and weight but as you’ve mentioned you know the size and weight is coming coming down quite rapidly. [00:18:28] What can one expect to pay? For you know like the standard like Puck LiDAR if they wanted to stick one on on their M100 or something and start gathering light data. What kind of cost of entry do we have here? [00:18:43] HARRIS: Sure. Normally the surveying and mapping grade LiDARs are relatively heavier in the kilos – in the low single digit kilograms in terms of weight. Velodyne is our first generation LiDAR as you all know is around $70,000 to $80,000 . And then over the last year we introduced a Puck lite and the Puck being 830 grams and then the Puck Lite is much lighter around 500 less than 600 grams and that is currently going for, depending on which model has between $8,000 to $10,000. [00:19:26] IAN: Okay. So significantly cheaper and significantly smaller than from where you guys started out. I could see I mean it’s just going to get cheaper cheaper and smaller and smaller. As with most technology. I mean I could see a future where someone like DJI maybe you know OK it’s gotten you know affordable enough for us and there’s enough demand out there for people. That we’re going to start integrating this into our system. So I think you guys are a great candidate for there for that kind of strategy there. [00:19:58] So we did kind of talk about I kind of take a few steps back just like in the practicality and the use cases of LiDAR. So we’re left with specific data outputs, so sometimes when we’re talking about point clouds. Just to get a little bit more specific in photogrammetry, the file type is is typically .LAS or .XYZ file. Is that the same type of files that you’re kind of working with LiDAR data. [00:20:27] HARRIS: Yeah so our raw data is in what they call it the peak hat. And our customers once they complete the integration they pull large files. So it’s essentially compatible with data platform companies. [00:20:43] IAN: How long does it take to process this LiDAR data? like I’ve heard sometimes that LiDAR data can just be huge amounts of imagery. I mean if you’re taking that many measurements every second. What kind of file type sizes and what type of processing times or even processing options does someone have when dealing with LiDAR? [00:21:04] HARRIS: Yeah that’s a great question. Compared to photogrammetry, LiDAR point cloud definitely an order of magnitude smaller in terms of size, in terms of processing speed. As I mentioned earlier what the advancement in mobility processing power onboard a drone. Our customers can actually process that in real time. The word they’re using is SLAM, Simultaneous Localization Mapping where they can actually generate a 3-D model real time for both the inspection and also collision avoidance functions. [00:21:39] IAN: So it’s not going to be just grabbing data and for processing it’s also going to be collision avoidance. I mean it’s going to be like a 360 degree coverage of what aerial, you know these vehicles really need. [00:21:52] Are you guys I’m assuming you already are but are you investigating some of this like detect and avoid incense and avoid technology with with your LiDAR technology. Or are you more focused on the data collection aspect? [00:22:10] HARRIS: Yeah I think to use an onboard mainstream drone today because it’s around $1000 to $2000, so using a LiDAR currently is still more expensive than the drone itself. For pure collision avoidance, might be overkill but for industrial applications where the environment is very complex and the risk and the failure costs is much higher. Than it makes sense to use a fairly robust sensor to make sure the drill does not crash into anything. 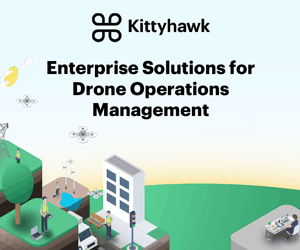 [00:22:52] And I think based on our market research the major hurdle to increase drone adoption is the operator today requires a lot of experience to make sure you do not crash $100,000 equipment. I think having this technology will help us really putting the U into the UAV. Where it is really autonomous, unmanned vehicle. [00:23:17] IAN: I like that so you can start – I think yeah you will start seeing, you see DJI using a lot of his vision, just computer vision to detect things. But when you combine the vision with the LiDAR data, I mean I think you already see that on autonomous land vehicles. [00:23:33] It’s just going to it’s just going to go and grow wings basically and then come up to us in the air. So that’s going to be really interesting. When should we start seeing that. I mean it’ll just be so much more accurate, range will increase, a lot safer which is the bottom line for some of these industrial companies. [00:23:51] Speaking of that what are some of your favorite use cases that you’ve seen or maybe stories of somebody using LiDAR to accomplish a specific task from it from a drone. [00:24:03] HARRIS: Yeah I will say refer to the three main use cases. Mapping, inspection, passive mode, active mode is the real time processing of the data. And that hopefully will have autonomous flight applications for drone delivery soon. [00:24:18] I will say the most interesting I’ve witnessed together with my colleague in Germany was a full autonomous inspection of a wind turbine. Where the system was using our Puck Lite to track where the drone is versus the turbine blade and make sure the pictures are taken consistently. So now you have repeatability and zero risk for the operator. As you know the wind turbines are very high could be a very dangerous job to climb up and take pictures before by hand. [00:24:51] IAN: And it would be very, very tough to try to repeat the same flight with manual control the drone too. Given the wind and everything. I mean the autonomous aspect can just be so much more consistent. So that’s great yeah. It’s all about consistency. Consistency is key with all these inspections to repeat and repeat and do it you know in different environments time of day etc. [00:25:12] That’s really cool. So what are you excited. What are you most excited about for the future of Velodyne and LiDAR with drones. I mean what are you kind of waiting for or anticipating as somebody who’s really on the forefront of all this technology? [00:25:27] HARRIS: Yeah. So no doubt autonomous driving is really happening. It will be here in the next 3 to 5 years. And I think for you and I to buy autonomous car probably will happen within the next within 10 years. Now for the drones we do believe because the product development cycle is much quicker, as regulations improve globally. We potentially could see him more drones autonomously flying even before you and I can buy autonomous cars. [00:26:04] IAN: Nice. It’s a cool future. So awesome. Harris thank you so much for joining us. You can actually follow Velodyne the company on Twitter @velodynelidar and you can visit their website at velodyne.com. And Harris has been gracious enough. You can actually email him directly if you have any questions, maybe you want to investigate this technology a little bit more and see how you can integrate it on your commercial drone operations. Ping him at harris.wang@velodyne.com. [00:26:39] So again thank you so much for joining us Harris. It was a real pleasure. There’s so much more to learn. I’ll definitely be keeping an eye, a very close eye on what you guys are up to and pointing more people over to the benefits of LiDAR. But again it’s just you’ve got to find out what the best tool for the job is. [00:27:01] So I really appreciate your time. Thanks for being here. [00:27:06] IAN: All right guys. We’re going to go ahead and cut off the mics. Cheers.